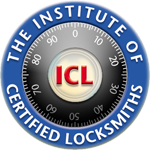 We are a professional locksmith company providing emergency call out solution and general lock repair and replacement solutions in Bournemouth. It does not matter what service you are looking for. We are here to help you right NOW! We have been serving the businesses and residents of Bournemouth for over 12 years. If you are locked out of your car, your home or your business. Call NOW and we can help. If you need general lock repair or replacement. Or even home security or business security advice we can help. Call Today on 01202 393547! For general information on locks, home security and more be sure to read our blog below.